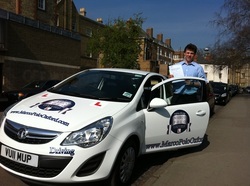 Hundreds of new pupils have already been helped to pass there test by our qualified instructors. We teach our pupils everything they need to know in order to be able to pass their test in the quickest possible time and on their first try. We also offer ﻿Intensive Driving Courses﻿ that allow you to speed up your learning and decrease the cost of learning to drive. It has been known for many pupils to pass first time after only 7 days. You could do the same by booking your ﻿Assessment Lesson Now .